Ivy is one of most popular plants for good reasons. It is a robust and grows quickly unlike any other plant. Regardless if the plant has complete sun or lots of shade, ivy grows and grows. 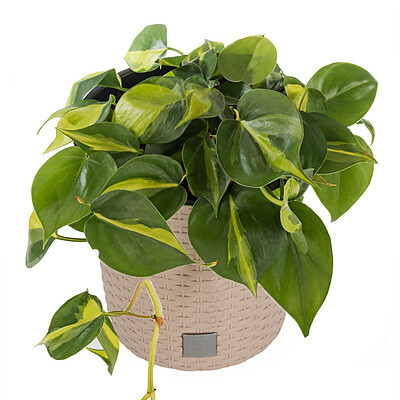 The plant is delivered in a decorative beige pot (aprox. 17 cm in size) and is aprox. 20cm obove the pot. Our tip: clean air with the right plant. The healthy benefits of using plants from "Air So Pure" is scientifically proven. These air cleaning plants promote a healthy and comfortable living environment. The well-being and productivity at work will be increased and the level auf sick related stoppage reduced.